Georgia has the highest loan interest rates in the Caucasus, but the head of the National Bank of Georgia, Giorgi Kadagidze says the rates correspond to the level of the country’s economic development. 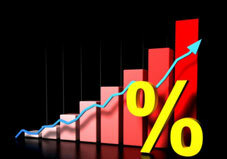 According to Kadagidze, the existing rates are “natural” considering the current situation. Speaking at the conference on Financial Education-Challenges and Perspectives, he said interest rates have been gradually decreasing in Georgia for over 10 years and the process goes on. “Certainly we do not hold the same level with Western Europe. At the same time, the level of our economics does not correspond to the standards existing in European countries. Therefore, the rates are natural and we are satisfied with the situation,” Kadagidze said, commenting on the World Bank study, which shows that Georgia has the highest interest rates in the region, especially on consumer loans. Kadagidze believes that many Georgians experience financial problems as they lack knowledge in how to manage their income. “It is crucially important for Georgians with low and middle income to learn to manage their finances,” Kadagidze said, adding that it is not acceptable when an individual has a 900 GEL monthly income and pays about half of it to the bank, to cover credits for expensive phones and summer vacations. The head of the National Bank referred to various research that prove there is a direct link to absence financial skills and the amount of the credits and loans Georgians have to pay monthly. Kadagidze says that developing simple skills in financial management in the population is very important. “Dealing with the issue is a major interest of the financial sector and the state itself,” Kadagidze stated. The conference Financial Education-Challenges and Perspectives was arranged by the National Bank of Georgia with the support of German banks. The event took place in Tbilisi, on September 30th.